German automaker ALPINA releases the pricing information on the new ALPINA D4 Convertible and Coupe. 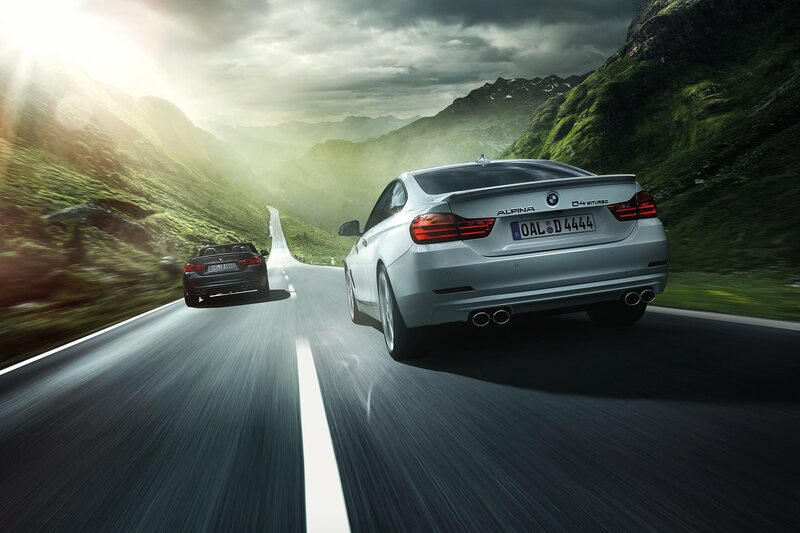 Both models share the same drivetrain as the D3 models and they combine the sporting elegance of ALPINA B4 Coupe and Convertible with the powerful turbo diesel. The 3.0 liter turbocharged diesel produces a whooping 350 horsepower, making it currently the most powerful diesel in the middle class. 700 Newton meters of torque come at 1500-3000 rev / min to ensure an extremely superior form of transportation. ALPINA specifies a DIN curb weight of 1585 kg for D4 Biturbo Coupe which accelerates in 4.6 seconds from 0 to 100 km/h. The 230 kg heavier ALPINA D4 Convertible needs four tenths more to achieve the same task. Top speeds for the two powerful diesels are 278 and 275 km/h, respectively. Despite the high power output, the D4 Coupe and Convertible manage to deliver great fuel consumption: 5.3 to 5.9 liter in the EU cycle, which corresponds to 139 to 156 grams of CO2 per kilometer. Of course, the engine meets the requirements of the EU 6 emission standard. Standard on both BMW ALPINA D4 variants are 19-inch alloy wheels, and the eight-speed Sport automatic Switch-Tronic, an adaptive sports suspension and xenon headlamps. The bases prices are 58,600 euros (Coupe) respectively 64,800 euros (convertible). 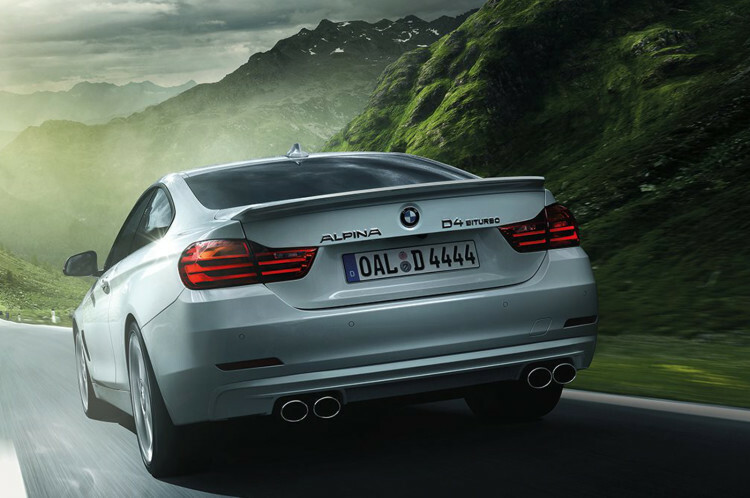 ALPINA D4 Biturbo – Is this the world’s best performance diesel?